It may not technically be the new year, but for anyone who’s ever attended school, the annual September entry into fall — and a new business and social season — brings with it the tendency to look forward and ask what’s next. This first trend isn’t so much content marketing as it is about content strategy and user experience. We’re witnessing rapid growth in both the wearables sector and the Internet of Things (IoT). This leads any marketer — and more frequently, product groups — to ask what kinds of content should exist around what types of things. Fitness trackers, smart clothing, appliances that communicate with service centers and retail locations (my car needs tuning, the printer is out of ink) — what content needs to be there? For whom? All credit goes to the 4A’s Chick Foxgrover for piquing my interest in content generated by algorithms. I’ve long known that wire services are using machines to “write” routine copy: stock market updates, sport scores and the like. We also know media empires such as BuzzFeed use algorithms to optimize their stories for maximum virality. But did you know that a marketing professor authored an algorithmic system that’s written over a million books? The mind boggles in considering the impact that algorithms will soon have on all the content produced by brands and publishers alike. Speaking of publishing and journalism, I’ve been following what I like to term “contextual content,” content that isn’t journalistic per se, but that follows those “five Ws” often mentioned in journalism: who, what, when, where and why. 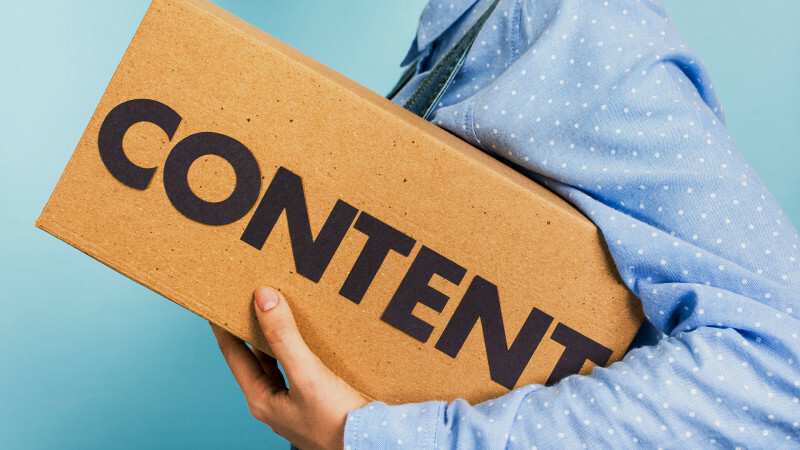 With contextual content, the most relevant content is displayed to the user based on those five Ws. So when you walk into a resort hotel chain, for example, your phone isn’t just your room key; it’s associated with your loyalty number and uses proximity signals around the property, triangulated with personal preferences and purchase history to shoot you time- and place-specific offers. I may get discount tickets for the show that evening, while you might get a twofer offer at the seafood restaurant. Increasingly, the places we visit will “know” us via beacons, sensors and mobile devices, taking content to a much more immediately contextual level. Content, which is owned media, continues to co-mingle with its paid and earned brethren in new and surprising ways. Paid search, native advertising, recommendation engines, asking users to share, paid promotion on social networks — these are all examples of ways in which owned media are combining with paid and earned to create new marketing tools, tactics and media. We’re a long way from seeing the end of this trend. As new platforms and innovative devices emerge, so too will new ways to combine paid, owned and earned media. The topic of a research project I’m about to embark on, the issue of the dwindling efficacy of display advertising versus the rise of content marketing, is one that cannot be ignored. But banner ad growth is flat, and the cost of banners has been decreasingly steadily for several years now. Meanwhile, marketers are moving spend into content, social and forms of converged media. Many observers are looking for one-to-one parity in this trend, which is an inherent fallacy. One dollar removed from a media budget in no way equals one added to a content budget. Content is far from free, but it’s much cheaper than paid media, which necessitates a media buy. This makes research in the field frustratingly difficult; you have to account for “lost” spend, which really reflects savings when investment is reallocated between disparate channels. What was spent on media (a fungible resource) is often reinvested in a longer-term spend in a different budgetary category, e.g., staff or software to enable or facilitate content creation, distribution, dissemination, measurement, and so on. Content is far from having reached maturity in digital channels, and it continues to evolve and change as quickly as the digital landscape. What trends are you watching, and which ones did I miss? How Much Does Content Cost? Investing in Content Tools? Get Out the Vote!